A Budtender’s Pay: How Much Will You Make? For budtenders, making a living comes second. The most important thing about a budtender’s job is taking care of the customer – their satisfaction comes first! Caring for people is your passion, and the dispensary is the place to do it. But even the most gracious budtenders still need to make a living – and for those who you take care of , they deserve the best. So exactly how much can a budtender expect to make working in the cannabis industry? 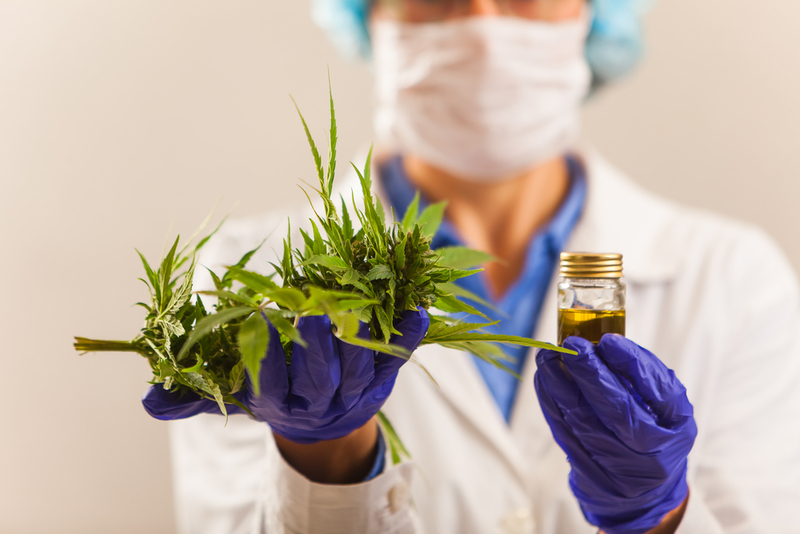 Read on to find out what your pay will look like as you enter the field of budtending! Becoming a budtender means you have to make a few choices at the start of your career: where do you want to work? Do you want to work with people, or product? Do you have dreams of starting your own dispensary, or becoming a manager in charge of a team? Whichever roles suits your lifestyle will determine the majority of your salary as a budtender. However, this doesn’t mean you’re stuck in one position. As you gain experience, your responsibilities will evolve. Let’s discuss the average salaries for jobs in the cannabis industry. Retail Budtender: A retail budtender will make an average pay of about $9 an hour in an entry level position. With experience, a budtender can make $12-$20 an hour selling smokeable, edible and other products to consumers in a point-of-sale environment. Also called patient care specialists in medical marijuana dispensaries. Product Sales Reps: A cannabis product sales rep works just like any other sales representative. These salespeople are responsible for visiting retailers and dispensaries and forming business relationships between them and cultivators. They must be knowledgeable about all aspects of the business — from the products themselves to all regulations. Most of the sales representative’s salary comes from commission. There is a large money making potential in product representation. It is not uncommon to expect to earn six figures as a successful product sales rep.
Budtrimmer: Budtrimmers make $12-15 an hour trimming raw cannabis plant. Budtrimmers may promote to cultivation of the plant as gardeners or concentrate makers which carry salaries between $50,000 to $90,000. Store Managers: Retail stores in the legal cannabis industry need managers just like any other business. Dispensary store managers can earn as much as $75,000 a year. They often have access to medical coverage and vacation time, just like they would if they worked as the manager of any store. And, they often receive bonuses for outstanding performance. These can be substantial, especially when managing one of the more busier stores. Edibles Chefs: Edibles chefs can expect more pay than traditional cooking jobs because edibles require careful infusion of cannabis concentrate into specific doses for measured consumption. Depending on the size of the business, and the experience level of the chef, these positions can expect to earn anywhere between $50,000-$100,000 a year. Grow Masters: Grow masters might be the most sought after jobs in the cannabis industry. They are responsible for cultivating the strains of plants which will later be sold to customers. A successful grow master can expect to earn over $100,000. Dispensary Owner: The dispensary owner’s job varies depending on location and operational laws. Dispensary owners can expect to make upwards of $100,000.